M&M Conversions is a compilation of character conversions i did using the Mutants & Masterminds RPG 3rd Edition (DC Universe RPG). 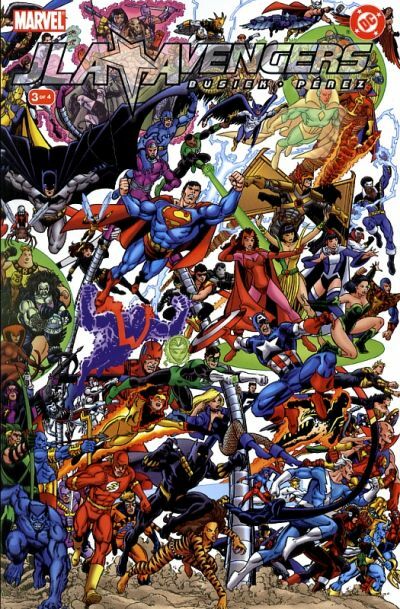 The compilation is composed primarily of Marvel super heroes i converted for use in my super hero campaign. IT also contains my own versions of the DC heroes that were made, as well as those that were not yet included or converted. As an addition, characters from movies, anime, tv, books and other comic book characters are also converted. This site is meant to help those who do not have the time to convert characters for their RPG games. Disclaimer: All copyright belongs to their original owners. This is for entertainment purposes only and have no commercial applications. Also, these conversions are based on my own opinions and perceptions and not the official views of the character copyright owners. When converting, i use my own set of conversion guidelines to make everything consistent.